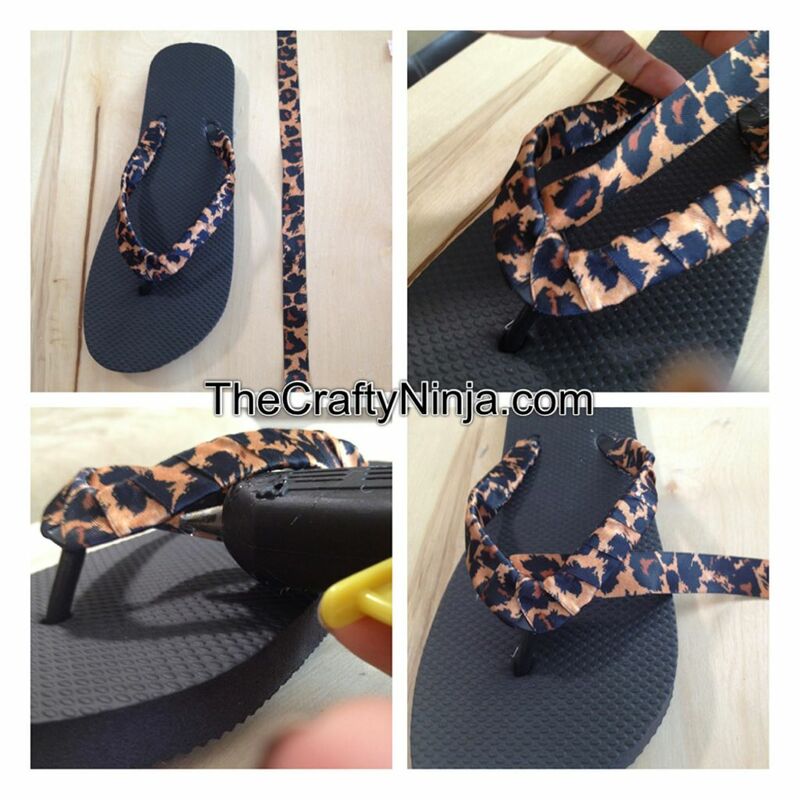 This tutorial is how to create a leopard ribbon flip flop using a weaving technique and embellishments. 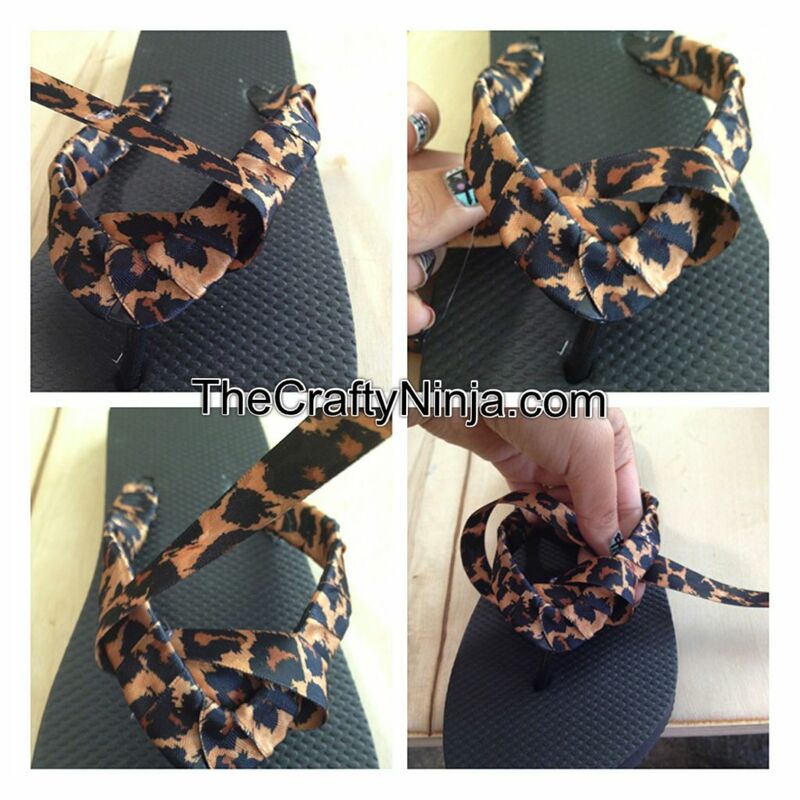 Check out my other DIY Ribbon Flip Flop tutorial. 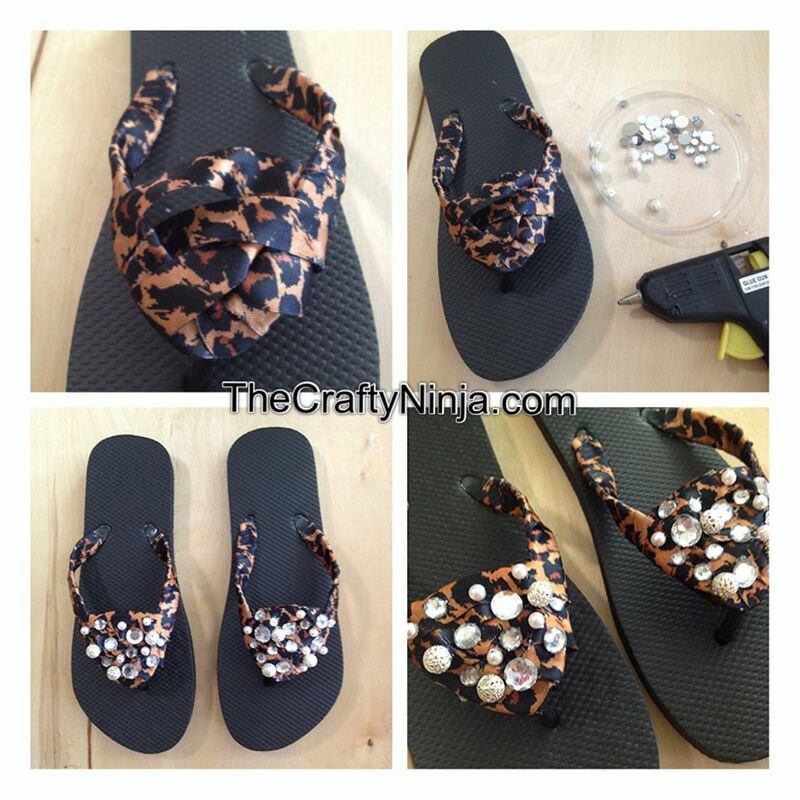 Supplies needed: Plain Flip Flop, Rhinestones 14mm and 7mm, Sliver Beads 6mm, Pearl Beads 4mm, Hot Glue Gun, Glue Sticks, and 5/8” Ribbons. I first began by protecting my work space. To start have the Hot Glue Gun and Glue Sticks to glue the 5/8” ribbon (about a yard of ribbon) to the flip flop from the base. Be careful not to burn yourself, and please be safe! Start wrapping and gluing, here is the Ribbon Wrapping tutorial. With another strip of ribbon, about 12 inches long, glue across. To start the weaving go over and under to the other side, then over and under back. Repeat going over under. Glue along the areas the ribbon goes over. Last the embellishments! 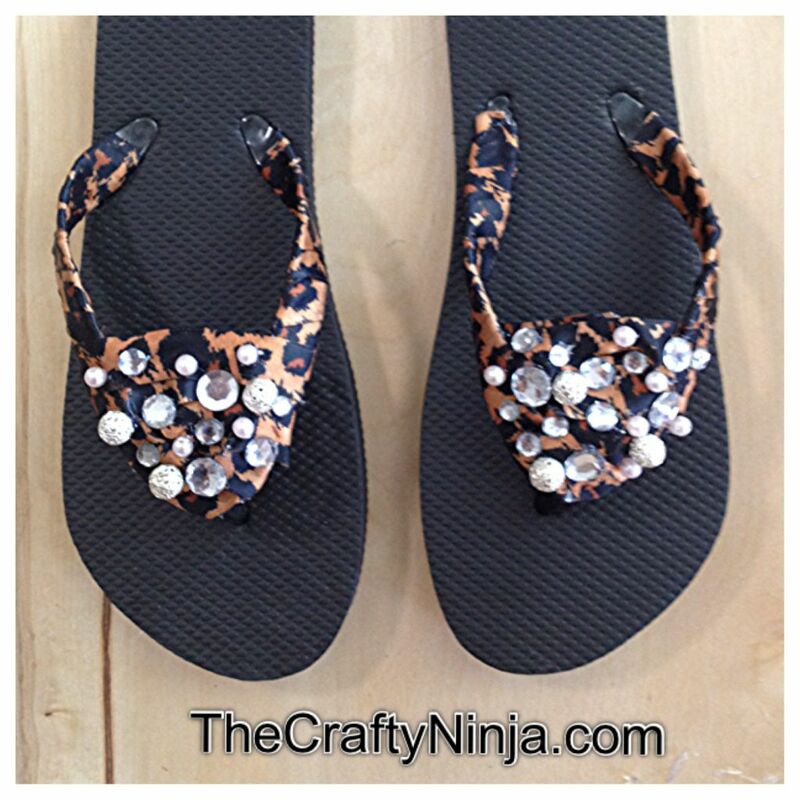 I used pearls, beads, and rhinestones to decorate all over with the Hot Glue Gun. When you’re finished you will have some very happy feet!